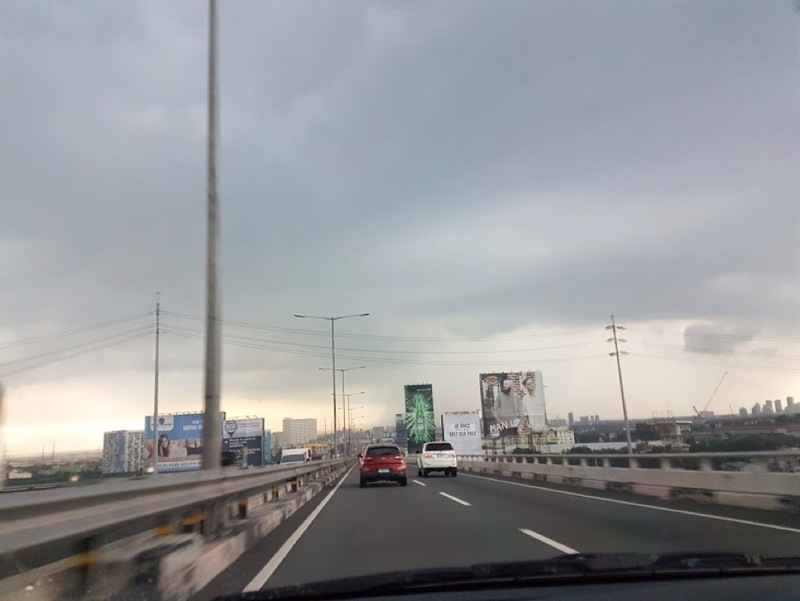 The sky was dark and gloomy as we drove to Biñan for the prison Bible Study. We were praying that the weather would cooperate. By God’s grace, the downpour did not occur until we reached our destination. Praise the Lord! God is in control. I was really blessed by His providence. Prior to the study, we handed out gospel tracts to the visitors already there. We had a short chat with a jail guard, we inquired what the inmate’s needs might be. He answered,“toiletries…tsaka pagkain (and food).” In addition, we inquired what their needs were, he and the members of their detachment. The guard seemed surprised by the question, but at the same time pleased. He answered, “toiletries din (as well), tsaka (and) office supplies para sa (for the)office”. The study we have the privelege of leading these men and women through is the book of John. On this day, we were wrapping up chapter 3, a narrative on Jesus’ conversation with Nicodemus and being born again. Pray for the inmates and their families, the jail guards, and for us. May people be regenerated. May God be glorified in this ministry. P.S. Here are some samples of the inmates’ livelihood products. The wallets, however, costs as low as 60 and as high as 150. The rags are not yet available. Any income generated from these is used to buy the needs of the inmates and the facility. 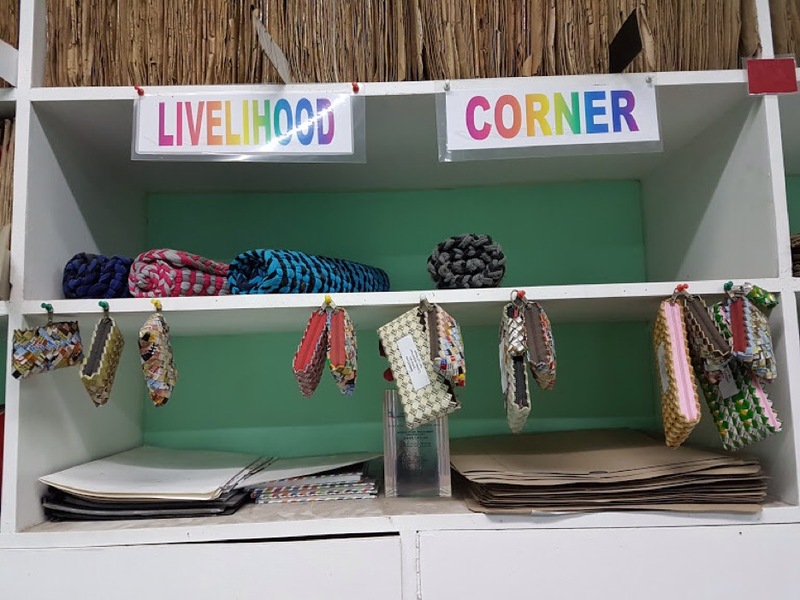 Livelihood products made by the inmates: floor mats (top shelf) and purses. …we just finished the Bible study at Biñan city jail, began by reading John 4:1-21. It was a wonderful scene seeing the men and women again closely listening to the Word of God. The study centered on the living water and worshiping in truth and in spirit. Both men and women gave their prayer requests and we were truly the one being blessed after the sharing. Like the rest of the country wherein prison facilities are impacted by the influx of surrenderees, the count at the BJMP in Biñan is at 576 inmates occupying cramped quarters. Pray for these and those like them, God bless you all! Devil or the deep blue sea? Rock or a hard place? An ominous combination if ever there was one, to talk about two cities I am all very familiar with. Charles Dickens, we are told, was making reference to Paris and London, in the years of great upheaval in that part of Europe, the French Revolution. Wherever and whenever we find ourselves to be, there is the least that principle of two at work. Like Dickens, I sit as an observant of two cities, near and far. The first is Manila in the Philippines, the second, California, USA. One is the place of my birth, the other of my re-birth. One was where I learned to walk and talk, the other where I learned to run and speak. Wow, the days are quickly unfolding just as the bible tells us. Well, for the next few weeks, we shall look at two cities close to me now repaired heart, the Philippines and the USA. Truly, each has a tale to weave. One like an older brother flexing muscles for display, which is all it is these days; while the younger sibling tries to emulate the older. Both are completely lacking the balance of strength and substance. Lets take a quick look at the two cities, beginning with the younger one, the Philippines. May 2016, two landmark events took place in my life. On the 1st of May, I learned my heart was doing a lot of things it wasn’t suppose to do. I had been overworking it, leading to an enlargement and causing me to experince shortness of breath. In the final analysis, God had me go through a quadruple bypass, a CABG (read about it in previous or upcoming issues), along with repairing my mitral valve. The thing was, other than the shortness of breath, I did not exhibit the typical symptoms of a man going through a cardio vascular problem. Maybe I did, just didn’t know it. If not for the insistence of my wife and daughter in law, who knows where I’d be today. Thank You God for those two women in my life. The man God used to repair my heart. thanks Doc! The second event had nothing to do with me, or did it? On May 9, the Filipino people went to the polls to go through a national “bypass” of its own. They were to elect the next man, or woman, who would lead a people of more than 110 million over the next six years. 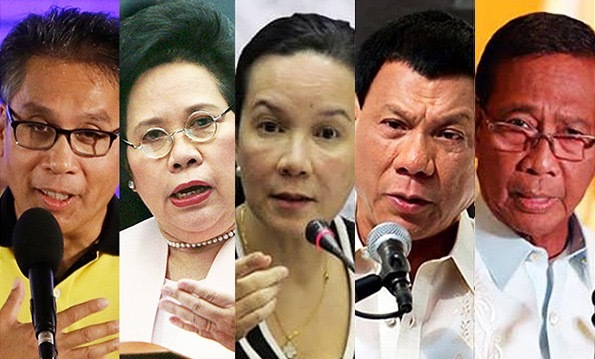 Five people vying for the top spot of President of the Philippines. Over the last 30 years, the country has been overworked with pronouncements of all sorts of promises, all in the name of “justice,”but the truth is, the nation was, has been, hemmorhaging morally, politically, socially, and spiritually. Was I like that? Will the people, like I did, wise up after years of unhealthy living? Needless to say, the operation/election was a success. Now that God has given me another chance to honor Him, will I? As for the Philippines, will the people take stock, not just of the leaders, but of themselves. Cause you see, just because the doctor says “we’ve repaired you…take these medicines…etc…” What they also tell you is the required rehab, re-conditioning towards a healthier lifestyle so that I get to maximize the use of my new heart. It will take at least 3 years for me to feel the effects of the heart operation I went through on May 28. What does the nation and me have in common? The repair has been done, but rehab continues. By definition, rehab means “a course of treatment designed to reverse the debilitating effects of an injury; to restore or rehabilitate.” I am going through rehab. The nation needs to go through rehab, morally, socially, politically and most import, spiritually. I’m realizing for myself, that rehab isn’t accomplished with simply doing x number of sessions, then you see results right away. No! The old bodybuilding axiom, no pain no gain, holds true in every aspect of life, it holds true in the matter of my heart and the Philippine nation. I had to get repaired where I was produced, just like other products; but in my case, my warranty repair was covered by God. 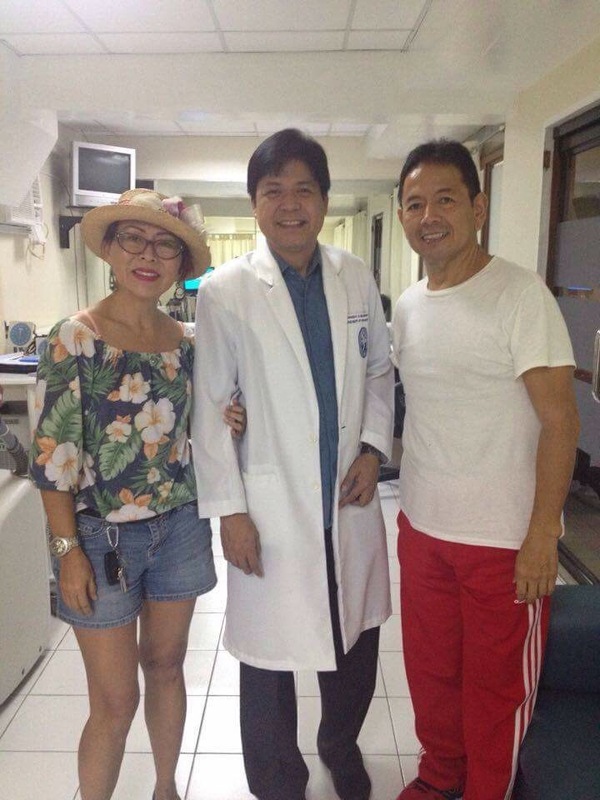 With my lovely wife Nenita and rehab doctor.